A new video has been added to TheAnalyst PRO's library of on-demand training. 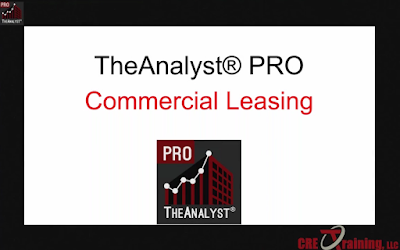 Watch Commercial Lease Analysis now. TheAnalyst PRO not only provides the tools you need to perform detailed financial analysis, it also supplies the background knowledge necessary to support your calculations.